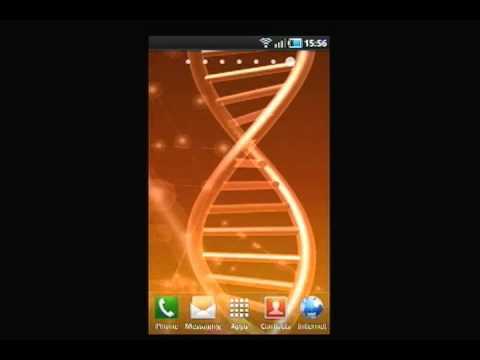 This hypnotic DNA Model Live Wallpaper will wow you with its 3D effects. It features a mesmerizing double helix rotating against a bright, sparkling orange background. Note: Not all Android devices support live wallpapers. Before purchasing, check by clicking on Menu, then Wallpapers, and look for Live Wallpapers in the list.